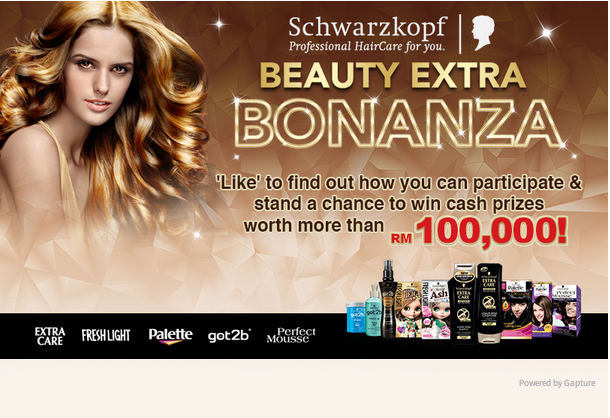 Therefore,as a token of appreciation and gratitute, Schwarzkopf Retail Malaysia says 'Thank You' to all its loyal fans by running a ‘Beauty Extra Bonanza’ contest. Loyal fans of this Professional HairCare brand stands a chance to win cash prizes just by answering one simple question related to the brand with any purchase on Schwarzkopf products worth RM30 or above in a single receipt. 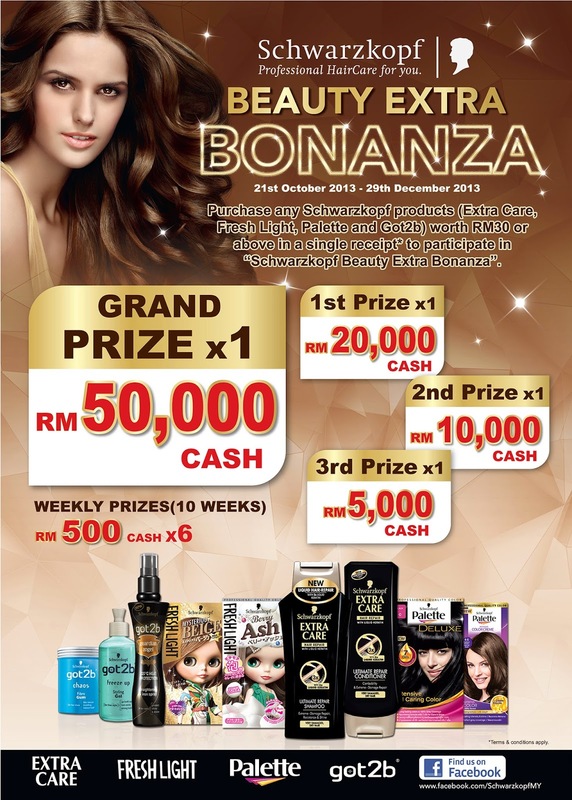 Fans of Schwarzkopf retail products and the uninitiated alike now have even more reason to pamper their hair with the brand’s many products with the whopping RM50, 000 cash grand prize.On top of that, you could also win this! That's not all! Each week, for 10 consecutive weeks, ( from the 21st of October until 29th December) six RM500 cash prizes per week will be given away to lucky participants. 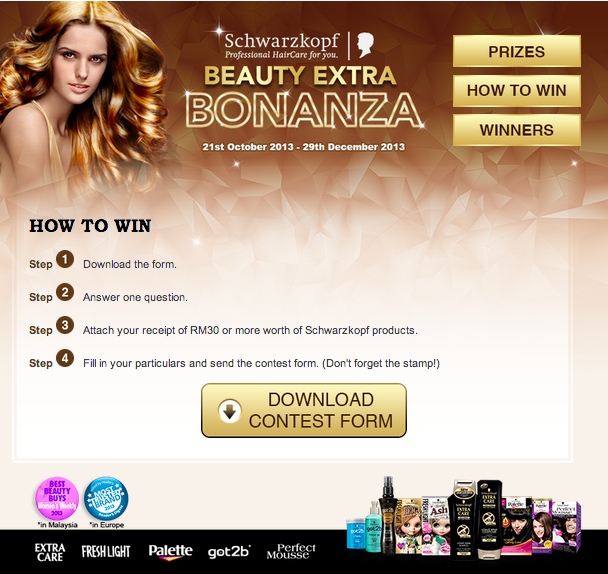 Whether it is to stock up on their favourite Schwarzkopf product or to try out the brand’s products for the first time ! Who knows, you might just be one of the lucky ones! What are you waiting for?! 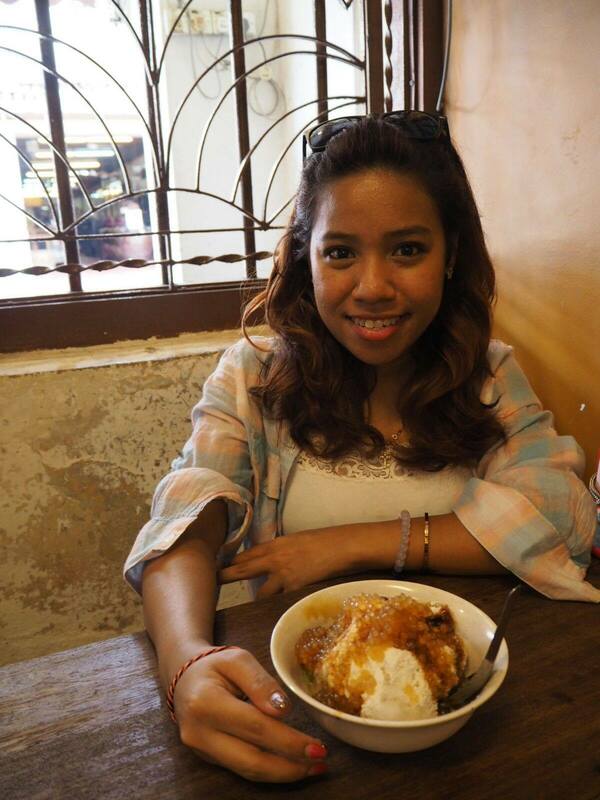 Anti-Dandruff range rescues hair troubled by dandruff. The Extra Care range also recently launched its Restore and Refresh line, specially catered for hot and humid weather like Malaysia’s. Oh and take a look at this ! Schwarzkopf was recently awarded the "Best Beauty Buys" for Extra Care Ultimate Repair Bi-phase Treatment Spray (Leave On) by Women's Weekly Magazine (Month of September 2013). This repairs and glosses your stressed hair. Wuhooo!